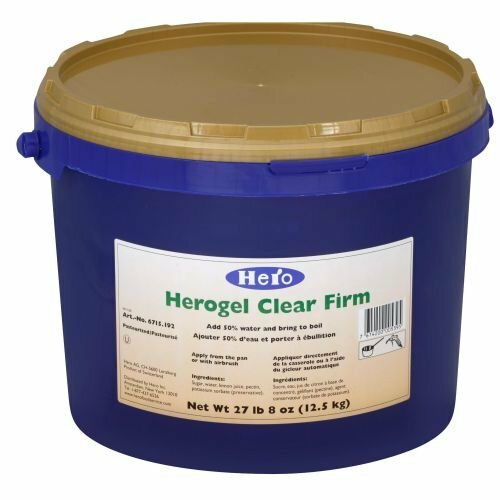 Hero Concentrated Clear Firm Herogel Glaze, 27.5 Pound -- 1 each. Protect your pastries with Hero Gels, fast setting with brilliant shine. Made from natural fruit concentrates, water, sugar and special pectin, they are highly concentrated and are to be diluted with 50 percent water. After boiling, a thin layer of Hero gel, applied with brush or airbrush, guarantees a brilliant result.